Successfully owning and operating a profitable dental practice takes time, energy, and money. Successfully owning and operating multiple profitable dental practices takes 3x as much time, energy, and money – it’s just that much harder! The vast majority of dentists capable and determined enough to open or buy their own practice do so within a few years of graduating from dental school. Once they start enjoying the success generated by their hard work, they begin to believe that if one practice can make them X number of dollars then opening a second practice will double their revenue. Unfortunately, the real math of operating multiple practices is far more complicated. Running multiple practices means doubling your monthly fixed costs like rent, utilities, insurance, salaries, etc., while the amount you spend on variable costs like dental and office supplies, and your lab bill will also increase. This means your second location must generate a significant amount of revenue in order to help raise your overall income rather than become a drag on your profits, time, and stress levels. Even though multiple practices don’t share a roof, they do share among them the finite resources a dentist or group of dentists have to work with. If one branch of a multi-practice tree underperforms, it can fatally weaken the health of the business structure overall. In order to determine the individual success of each practice, dentists need a system in place that enables them to determine whether all three key aspects of each dental practice is working as effectively and productively as possible. Failing to determine which practice in a group is underperforming can make achieving profitability that much harder. Considering the current state of dentistry and the true costs of running multiple practices, having just one branch underperform could make it impossible for you to generate the revenue needed to succeed. 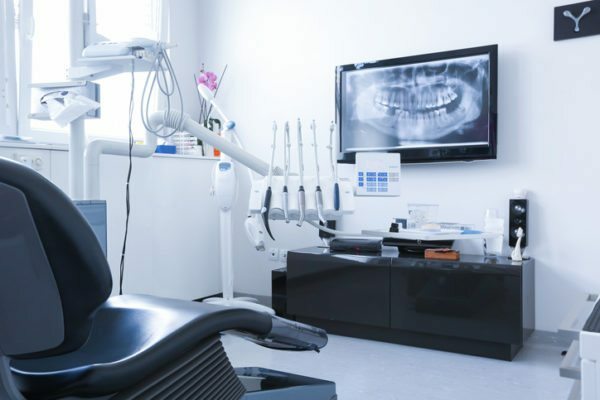 Dental spending remains sluggish six years following the economic recovery from the Great Recession, according to a recent study conducted by the American Dental Association’s Health Policy Institute. The current amount of empty chair time, combined with the recent wave of new dental school graduates, forecasts that dental earnings will continue to remain stagnant, concluded the study’s authors. The average dentist’s income has seen a consistent drop since 2005, which researchers attribute to a steady decrease in dental care among adults and shows no signs of rebounding any time soon, noted the authors. The researchers anticipate a shift towards a “new normal” in dental spending, dental care, and, as a result, dental earnings. While the U.S. gross domestic product (GDP) increased by 6.5% between 2009 and 2014, average household incomes grew by only 1%, noted researchers. This indicates that while the U.S. economy has rebounding from the financial collapse of the late 2000s, wages and household incomes have not. The average net income for general practitioners (GPs) in 2014 was just under $175,000, while specialists earn slightly over $322,000. For owner GPs, the average net income was over $183,000, and $134,00 for non-owners. Incomes for dentists have significantly dropped on average for all general practitioners since 2005, when the incomes levels were at a peak of over $219,000 a year. Today, the net income for general practitioner owners was just $183,000, while non-owners made $134,000. While specialists have seen a slight increase in earnings since 2013, their average income is still far below 2005 levels. With empty chairs on the rise and incomes continuing to remain low, the difficulty of running multiple successful practices becomes even more challenging. Let’s assume that as a single practice owner you’re generating $500,000 a year in collections. Your fixed yearly costs are roughly $250,000, and you pay about 15% in variable costs. As such, your total overhead comes in at $325,000, making your net take home $175,000 – about the average yearly income indicated in the study above. Now let’s say that you open a second practice with the goal of increasing your income by just $50,000 a year. To meet this goal, you now need to collect an additional $352,000 more from both practices. Your fixed costs are going to double to $500,000, while your variable costs will rise to over $127,000. Your overhead is now more than $627,000, making your net take home roughly your goal of $225,000. However, in addition to making this additional income, you’ve also taken on more debt, staff, and uncertainty that could cause far more stress and longer hours than you experienced before. Operating multiple dental practices isn’t the money printing machine that many people with a direct interest in dentists owning multiple practices (i.e. sales reps, real estate agents, bankers, contract lawyers) would have you to believe. To successfully run more than one practice, you need a system that allows you to accurate measure each practice both individually and as part of your organization as a whole. While Moneyball may have helped to introduce the concept of improving performance through data analytics to the general public, businesses have long understood the value of using data mining, performance monitoring, reporting, and benchmarking to improve decision making, identify new areas of business, and day-to-day functionality. In recent years, the healthcare industry has taken the lead in adopting data analytics as a means of reducing costs, improving patient care, predicting patient behavior, and cataloguing pharmaceutical research. As the field of healthcare analytics continues to expand, experts predict the industry to grow into an $18 billion industry in the U.S. by 2020. The dental practice management software tools developed by Practice Analytics were inspired from the concept that data tells a story. Where data exists, there’s usually untapped information waiting to be uncovered and utilized. At Practice Analytics, our online dental practice management software tools streamline the information found deep inside a practice to uncover data that can help multi-practice dentists better manage their all of their locations. Our software aggregates information from individual offices with different systems into a group wide view of the enterprise. The data then becomes platform-agnostic to the source or system used across the organization. Practice Analytics can map several offices into regions and the regions are mapped to an enterprise or corporate level. Click here to find out more about what Practice Analytics can do to improve the success of your dental practice.